Ah, the fond and slightly icky nicknames you call each other when deeply, confidently in love. Drawing from the cuddliest of the woodland creatures, the most logical of us can end up referring to a hairy six foot bloke as a ‘bunny’ or a stressed-out adult woman as a ‘kitten’. But when the axe falls on our precious bubble of love, these cutesy terms of endearment quickly become slightly more descriptive. ‘Baby’ becomes ‘a*sehole’, and ‘angel’ becomes ‘time wasting d*ckhead’. 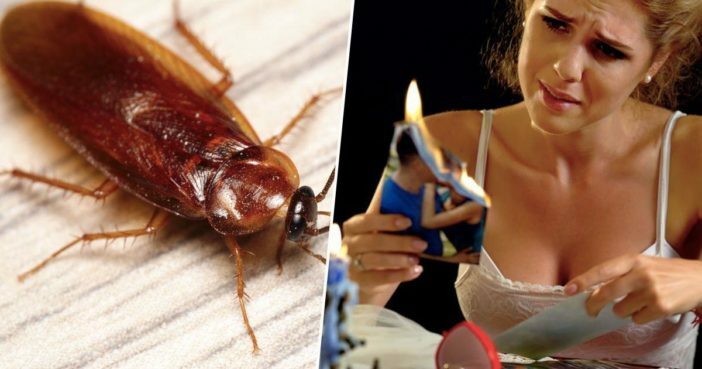 This Valentine’s Day, what better way to celebrate the new and colourful range of names you now have for your former beloved than by naming a cockroach after them? Hemsley Conservation Centre in Kent have dreamed up a brilliant idea for those of us who are beginning to grumble on a daily basis as card shops flood with fake flowers and oversized, gurning teddy bears. For an extremely reasonable £1.50, you can name a cockroach after your most loathed former lover, or indeed a friend’s ex who you always knew deep down to be a wrong ‘un. We are offering the chance to name a cockroach in honour of your worthless ex-‘someone’ on this special holiday of love. We are highlighting these ‘bottom of the barrel’ creatures through our ‘name a cockroach programme’ (we think adopt is a little too strong, after all – you probably don’t want to adopt your ex) to raise money for our projects at the zoo. Best of all, funds will be put towards supporting projects at the zoo, meaning your ocean of heartbreak and bitterness will be channelled towards good causes on this most auspicious day of love. All those years of listening to their bland music and clichéd takes on current affairs will have been worth it after all! You will get a certificate after naming your cockroach, with the name apparently being placed above the cockroach enclosure (a shuddering thought). Now, I would never advocate taking any sort of revenge on an ex no matter how carelessly they have chucked your bleeding, beating heart in the bin. However, giving this little dedication as you brace yourself against the mushy, gushy onslaught that is the month of February would surely be just that little bit satisfying. Cockroaches are after all, kind of the antithesis of the love birds and butterflies set to flutter into every shop window. These creepy creatures can live for a week without their heads and are famously equipped to survive the apocalypse. They are weirdly attracted to beer and can adapt to pretty much any situation. They are, in short, an inspiration to those of us who have been bruised in the love department and lived to tell the tale.